Culm rot of oats is a serious fungal disease often responsible for crop loss. It is not uncommon, according to oats culm rot info, but can be controlled if caught in the early stages. Oats with culm rot are susceptible because they are planted in spring when humid conditions are optimum and allow the disease to develop. However, fall planted oats in warmer areas of the country are also susceptible, as winters are humid there. Learn more about culm rot of oats in this article. 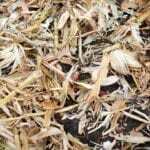 What is Oats Culm Rot? You may be wondering, just what is oats culm rot. To explain, you first need to understand that the culm is the stem of the oats, sometimes called the foot. Stems are usually hollow, making them susceptible to infection by spores that cause rot. Young seedlings are generally attacked as they reach this stage of growth. Plants are sometimes infested with the rot as heads are developing. Stems and roots develop a rot, causing plants to die. Controlling oat culm rot in the field in which it happened is a lengthy process. Land should not be planted with oats for two years. After it is well tilled, treated seeds are planted to discourage the development of the disease. This is not a total cure, as the soil may also be affected. Red leaves on the plants are often a sign that they are being attacked by fusarium blights or pythium root necrosis. These fungal issues and others are often present in oat fields, attacking plants when conditions are optimum. This limits oat production in many of the top-producing states, including the oats grown in home garden. It also decreases the quality of oats that make it to harvest. The next time you wake up with a hot bowl of oatmeal on a cold morning, consider the journey and the difficulty growers have gone to in growing this crop and getting it to you. You will appreciate it all the more. Read more articles about Oats.